Pennsylvania was one of the first states to ratify the U.S. Constitution. Twenty hours after the Continental Congress submitted the Constitution to the states, the Assembly of Pennsylvania called a convention to ratify or reject it. The Constitution immediately became the subject of passionate debate, which continued until Washington was sworn in, in 1789. 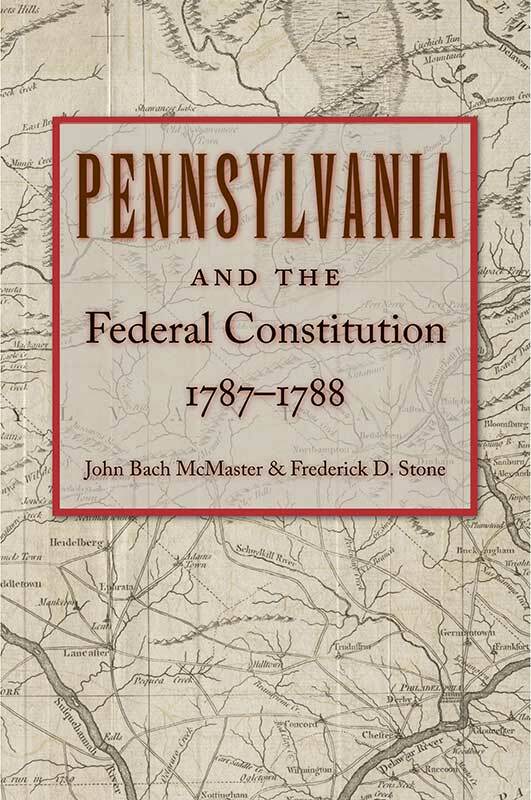 Pennsylvania and the Federal Constitution collects the primary documents that formed this passionate debate. John Bach McMaster (1852–1932) worked as a civil engineer, taught civil engineering at Princeton University, and was Professor of American History at the University of Pennsylvania. Frederick D. Stone (1841–1897) was Librarian of the Historical Society of Pennsylvania and an authority on United States colonial history. Preface, headnotes, biographical sketches of the Pennsylvania members of the Federal Convention, biographical sketches of the members of the Pennsylvania Convention.